Montevecchi et al 2018. Missing Storm Petrels - Presentation to Nature NL. Response to Jul 2018 National Geographic article that overlooked Newfoundland and the North Atlantic. 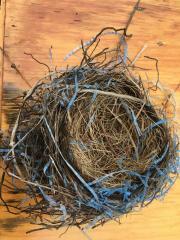 Have seen many gannet nests with plastic cord, netting, fishing twine andpacking straps woven into them but this is the first land bird nest that I have seen with so much plastic - blue strips from nylon tarp and also monofilament fishing line [photo - Janet Montevecchi]. 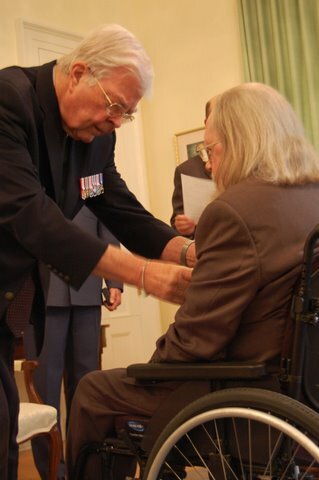 Nest was brought to me by Ed Churchill of Portugal Cove Newfoundland who released a large nestling that was hanging by its leg wrapped in blue nylon. Ed freed the nestling and put it back in nest where it was fed by parents and apparently fledged the nest day. A successful rescue. Ecological Concerns about Proposed Ragged Beach Development (June 2011). - Witless Bay Municipal Plan and Development Regulations – Submission and Statement of Objection (October 2015). 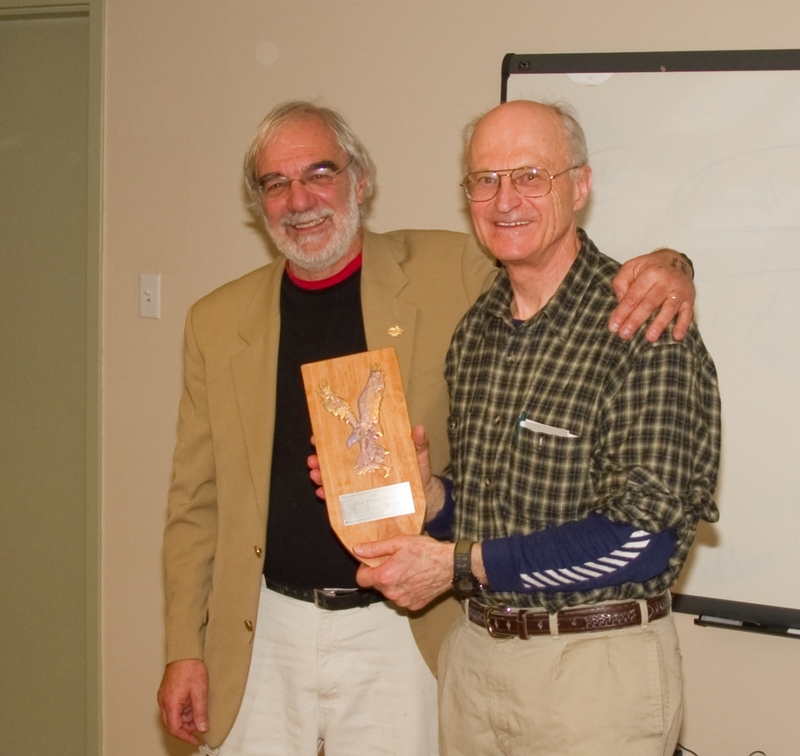 - Osprey article: Environmental Stewardship of the Witless Bay Seabird Reserve. 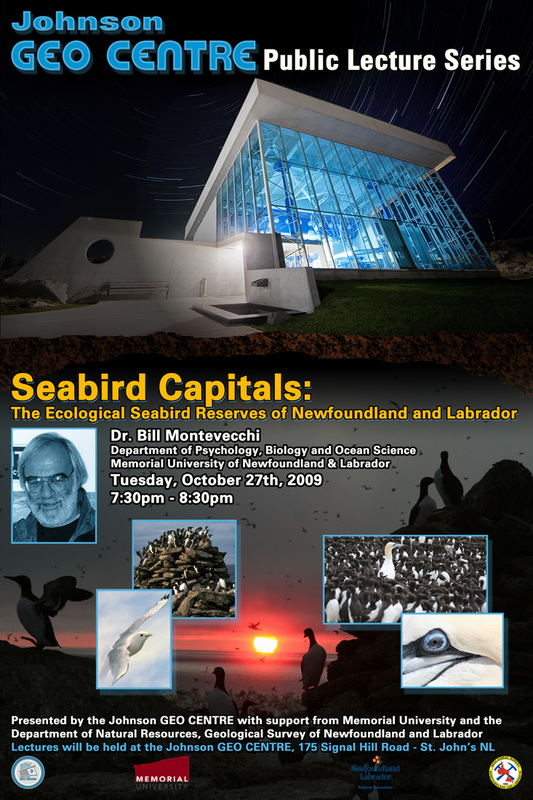 Johnson GEO CENTRE public lecture - "Seabird Capitals: The Ecological Seabird Reserves of Newfoundland and Labrador"- October 27, 2009.
and protection of the natural environment and all its creatures and plants, Dr. Allan Stein was awarded the 2010 Tuck - Walters Award at the Annual Meeting of the Newfoundland and Labrador Natural History Society in March 2010.